Insurance can play a major role in hedging climate change risks in emerging economies like India. 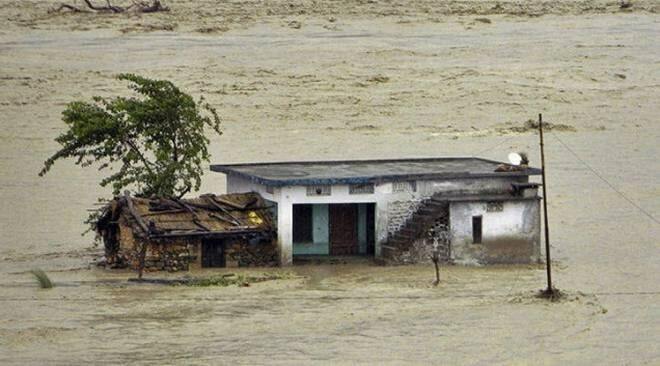 According to International Finance Corporation, India is among those countries which are most vulnerable to climate change, with annual losses of between $9 billion and $10 billion, because of extreme weather incidents. Nearly 80% of those costs are uninsured. India’s food security is intricately linked with intensifying climate change. This gap leads to good business prospects in this area. Lucrative opportunities are lying to be exploited using innovative tools and financial products that can hedge climate-related risk and help those exposed to these risks absorb economic and financial shocks. Agriculture is the most vulnerable sector of the country as it is largely dependent on rainfall. To mitigate the risk of crop failure due to droughts and floods the government introduced crop insurance. The government of India started offering widespread crop insurance in 1985 but all the schemes till now were flawed. The recent scheme launched on 18th February, 2016, Pradhan Mantra Fasal Bima Yojana, lays down that a premium of 2% has to be paid by farmers of kharif crops, 1.5% for rabi crops and 5% for for annual commercial and horticulture crops. The other type of insurance is Index insurance. The index used for this insurance tracks indicators such as rainfall or livestock mortality rates to estimate assets and investment losses due to weather changes. The largest effort in spreading index insurance is made by the Global Index Insurance Facility, a multi-donor trust fund managed by International Finance Corporation and the World Bank which operates in 31 countries and insures a total of 1.3 million farmers. There has been a drastic increase in small farmers using crop insurance in India as well. As of 2012, 22 million farmers were covered by a yield based index and 3 million by weather index insurance. The Syngenta Foundation in India offers farmers a product that combines weather index insurance with high value hybrid corn seeds. This insurance product is a good example of an instrument which mitigates the risks arising from crop failures. In order to minimise the losses of the insurance company, they provide farmers with hybrid seeds and genetically modified seeds which are more resilient to changing climatic conditions and catastrophes like floods and droughts. These kind of innovative products will also help to solve the problem of adverse selection and moral hazard faced by insurance companies. These hybrid seeds will not only reduce yield loss in case of catastrophes but will indirectly reduce insurance claims made by farmers. Private insurance companies can serve a great deal in making innovative schemes like the hybrid seeds offered by The Syngenta Foundation along with the insurance contract. Incentive driven private companies can find innovative products and invest in research and technology, resulting in gains for insurance companies and farmers. Weather forecasting advancement due to weather tracking satellites can help insurance companies make well informed and well researched strategies. Climate change insurance is at a very nascent stage in our country and a significant market is still untapped. Given that the vagaries of nature are more prominent than ever, primarily due to climate change, this insurance instrument can be very promising for all stakeholders.